Found 2 file extension associations related to CS-80V and 2 file formats developed specifically for use with CS-80V. In CS-80V we have recreated the formidable Yamaha CS-80, a synthesizer that was even more massive in sound than it was in size. It was popularized by artists such as Toto, Jean-Michel Jarre, Klaus Schulze, Stevie Wonder, Vangelis, Ultravox and Peter Gabriel, to name a few. Hit song after hit song has turned this synthesizer into a true legend. 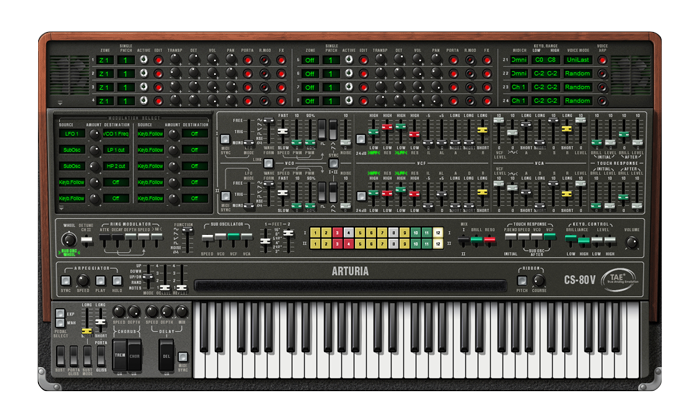 If you need more information please contact the developers of CS-80V (Arturia), or check out their product website.